NEW YORK–(BUSINESS WIRE)–Expats have rated Singapore as the best country in the world to live and work, while Norway rose four places to come in second, according to the new Expat Explorer survey released today by HSBC, one of the world’s largest banking and financial services organizations. Culturally very different yet both highly-regarded, Singapore and Norway offer expats a stable economic and political environment while giving them a fulfilling experience and an improved family life. For expats in the US, the “land of opportunity” description still rings true. Ranked first for career progression, almost three quarters of expats in the US, 73% compared to 54% globally, believe America is a good place for those hoping to boost their career prospects. The HSBC Expat Explorer survey is the world’s largest and longest running study of expat life, asking more than 27,500 expats about their experience abroad. As well as unveiling the best places in the world to live as an expat, the survey also found that life abroad typically increases expats’ income by 25%, with the average expat earning just under $100,000 a year. The average income for expats in the US is just over $161,000. Far from compromising their wellbeing, expats seem to find the right balance. Four in ten (40%) adopt a more positive outlook on life after moving abroad, with 45% becoming more physically active. 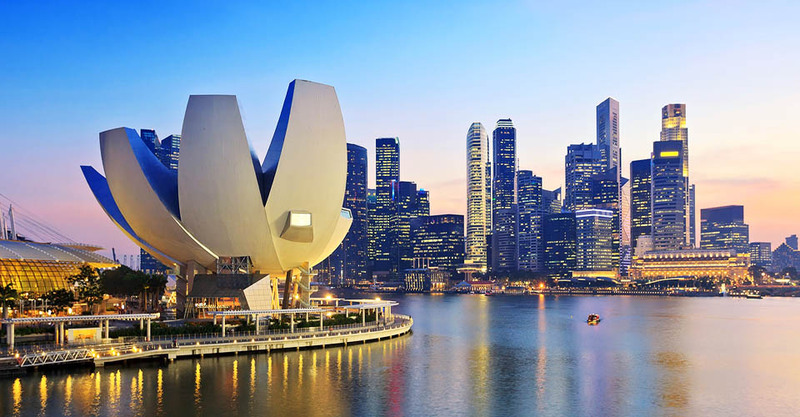 Confidence in the political stability (83%) and local economy (73%), a great quality of life (64% say it is better than at home) and a positive experience for families are among the reasons why Singapore has topped the Expat Explorer rankings again. Norway, meanwhile, is up four places in the league table and narrowly misses out on the top spot. The majority (90%) of expats in Norway say that their work/life balance has improved and 78% that the job security is better than at home (compared with 53% and 41% globally). The gains for expats in the US aren’t purely financial. Nearly half, 49%, of all those that move to the US say their overall quality of life is better than at home and six in ten believe their children’s quality of life is better than at home. A third of expats (34%) say they have found long-term partners since the move and 25% report a more active social life than at home. In fact, 40% say they have a more positive outlook on life since moving to the US. With such a domestic focus on business and careers, it’s interesting to note that while expats in general find moving abroad results in a 25% increase in income, among Americans living abroad the figure is only 6%. But the benefits of moving abroad are seen in other areas. More than six in ten (61%) of Americans living abroad (compared to a global average of 53%) feel the work/life balance in their new country of residence is better than it was at home. Half of those who have left the US (50%) say they are happier since moving abroad compared to 40% of expats in general. And 45% say their physical health has improved since moving compared with a global average of 36%. In addition to the overall country league table, the Expat Explorer report ranks countries in three sub league tables: Economics looks at the impact moving abroad has on expats’ wealth, Experience focuses on health and quality of life, and Family looks at the best places in the world to bring up a child. New Zealand Tops Quality of Life: Almost three in five expats (58%) moved to the ‘land of the long white cloud’ to improve their quality of life, compared to just a third (34%) of expats globally. Almost three-quarters (72%) are integrating well with the local people and culture. New Zealand is followed by Spain (2nd) and Portugal (3rd), with Singapore and Australia completing the top 5 in the experience league table. Spain and Portugal are lauded by expats for their healthy lifestyles. Almost three-fifths of expats in Spain (58%) and in Portugal (57%) say their physical health is better as a result of the move, compared to a global average of 36%. Mexico has moved up seven places from 20th to 13th, with 81% of expats there enjoying immersing themselves in the local culture, compared with 62% globally. The Netherlands is the new hotspot: The Netherlands has overtaken Sweden as the best place to raise a family, rising nine places in one year. More than three-quarters (76%) of expat parents in the Netherlands say the health and wellbeing of their children is better than it was at home. Expat parents also praise the quality of education and childcare, with 72% and 65% respectively saying it is better than at home. Last year’s winner, Sweden, ranks as the second best country to raise a family. Nearly three-quarters (72%) of expat parents rate the quality of childcare as better than at home and 71% said the process of arranging childcare and schooling for their children was straightforward. About the Survey: The Expat Explorer survey was open to adults over 18 years old currently living away from their country of origin/home country. The survey was completed by 27,587 expats from 159 countries and territories through an online questionnaire in March and April 2017, conducted by YouGov and commissioned by HSBC Expat. A minimum sample of 100 expat respondents and at least 30 expat parents is required for a country to be included in the league tables, with 46 countries qualifying in 2017. View the 2017 report here. For more information visit: www.expatexplorer.hsbc.com. Reproduced with permission from Expat Explorer Broadening perspectives, published in 2017 by HSBC Holdings plc. HSBC is a trademark of HSBC Holdings plc and all rights in and to HSBC vest in HSBC Holdings plc.